The morning of 9 December dawned bright ready for a trip to Capernwray. Tiago, Richard, Simon and I met in the car park at 09.30 slightly bleary eyed to be ready to jump in the lake. I was wanting to blow the dive cobwebs away after a couple of months out of the water and to try out a new stage. 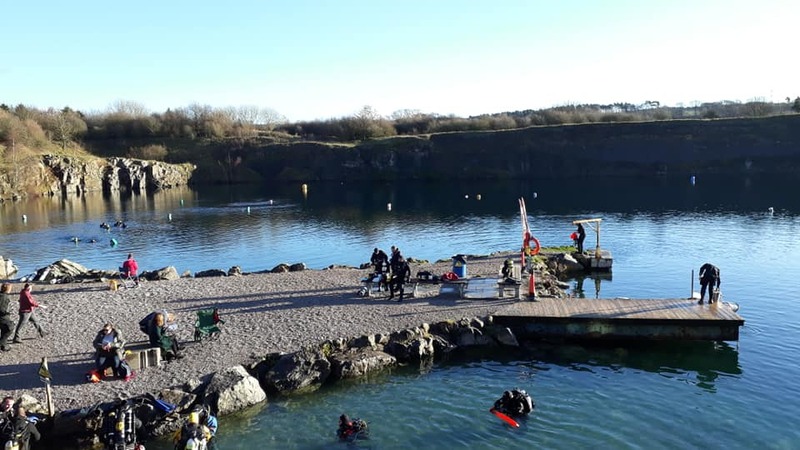 With log sheets completed wholly in accordance with Ocean Diver lectures given the previous day it was time for two buddy pairs to jump in the lake. Whilst the water initially felt cold on the face it was not an unreasonable 7 degrees and fine for 50 minutes dives in good visibility. Simon and I did an anticlock wise circuit of the lake coming across the other pair on a number of occasions both concluding our dives at similar times. I had no issues with the stage and it felt reassuring to have along. 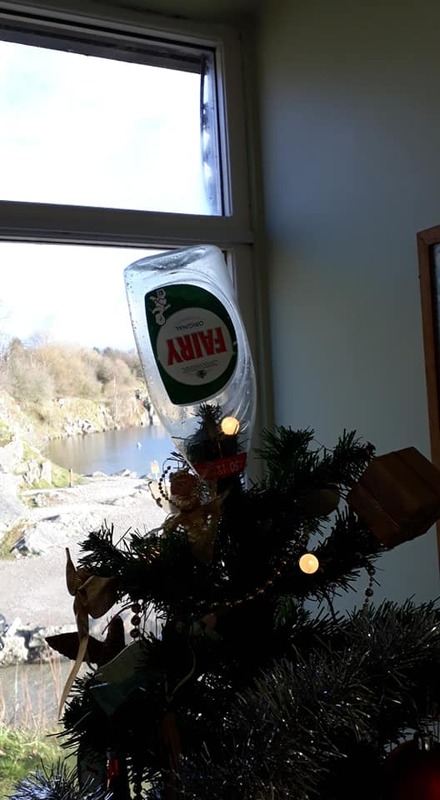 It was then time for calories in the café sitting next to a Christmas Tree decorated amongst other things with a fairy bottle! Fairy on the top of the tree!! No rest for the wicked so back for a second dip this time to see Orca in the south western corner of the lake. 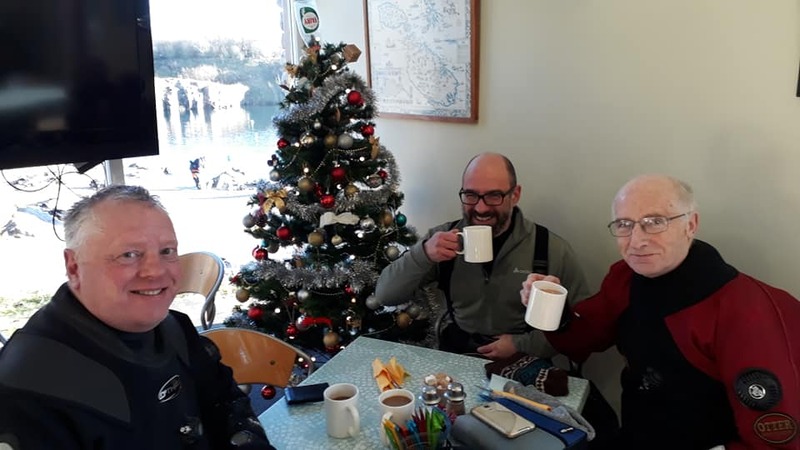 With diving over in the early afternoon time was made for coffee and cake before heading off. All in all a fun day out albeit slightly marred by picking up a cracked windscreen coming back over the A66. At least however the bang was above water! Simon, Tiago and Richard having a warming cupper!